Education has been a core function of all practitioners in palliative care since the birth of the modern hospice movement. Much progress has been made since palliative medicine was first recognized as a discrete medical specialty. 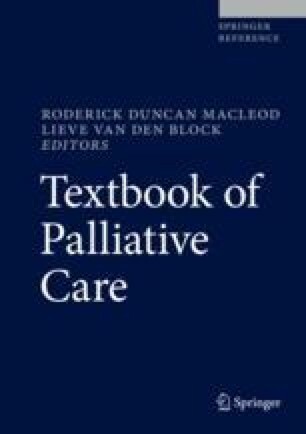 In order to understand the complexities of education in this area, this chapter provides a broad overview of issues related to palliative care education from undergraduate students to continuing and postgraduate training and to the needs of family carers and staff who work in residential aged care facilities. The chapter initially outlines some of the principles of adult education by drawing on the work of several key theorists and then discusses the sociopolitical context of palliative and end-of-life care with due consideration to the changing needs of society. Evidence of progress in undergraduate and continuing education is presented and discussed as well as opportunities for advanced specialty training. The learning needs of family carers and staff who work in residential aged care facilities are addressed with examples of the types of education and training that is available for these essential providers of palliative care and whose needs are often overlooked in traditional educational settings. Finally, we provide examples of the many and varied educational methods that are currently in use including simulation, interprofessional education, and learning in the clinical setting. https://www.cpd.utoronto.ca/endoflife/default.htm. Accessed 26 Mar 2018. Learning Essential Approaches to Palliative Care. http://pallium.ca/courses/leap-core/. Accessed 26 Mar 2018. Nursing Council of New Zealand [Internet]. Wellington. Approved professional development and recognition programmes (PDRPs). 2018. (Cited Mar 26]; [one screen]. Wellington, New Zealand, Available from http://www.nursingcouncil.org.nz/Nurses/PDRPs.